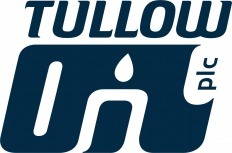 Tullow Oil Plc, Africa's leading independent oil firm says current production of crude oil at Ghana's Jubilee field is110, 000 barrels per day (bpd). This was contained in the firm's trading statement and operational update released on Saturday, last week. With this announcement, it is clear that Tullow is not going to attain the120,000 bpd target soon. Partners at the jubilee field were looking at achieving the 120 thousand targets by close of last year. But, this could not be achieved which the oil exploration giant blamed it on technical problems. The Head of Media Relations at Tullow Oil Plc, George Cazenove, attributed the delay to some technical challenges with the FPSO describing last year as quiet successful because of production from the Jubilee field. It had been estimated that the field would produce on the average 120 thousand barrels of oil a day, a few months after the commencement of production. The Jubilee field was report to have produced a little over 50 million barrels of oil since it began commercial production in 2010.
exploration success in establishing Kenya as a new hydrocarbon province and continued to add to and mature our exploration portfolio. Jubilee production issues were successfully and cost effectively resolved and gross production from the field is now around 110,000 bopd". He continued: "Commercial reserves have also increased, benefitting from the submission of the TEN development plan in Ghana. We also significantly strengthened our balance sheet in 2012 by concluding the Uganda farm-down and by refinancing and extending the maturity of our $3.5bn reserves based lending facility". Tullow continually reviews its portfolio to ensure that it allocates capital appropriately to enhance shareholder value. We accelerated this process after the farm-down in Uganda when we conducted a thorough review of the exploration assets carried on our balance sheet, Mr Heavey stated. According to him, in 2012 they further reshaped the portfolio with entry into five new countries, including highly prospective licences in the North Atlantic through the purchase of Spring Energy. Our increasing focus on light oil exploration has led to our planned disposal of our Asian and Southern North Sea gas production assets. Mr. Heavey noted: "This continuing process of portfolio management, alongside increased Jubilee production and a strengthened balance sheet, provides a strong base from which our exploration-led growth strategy can continue to deliver. Tullow is now well positioned for a very successful 2013 and growth beyond."